While agreeing that national accountability is preferable, the ICC and other international mechanisms have an important role to play. The 13 June panel event, entitled “National Accountability for Atrocity Crimes: A Human Rights Priority,” was sponsored by the Open Society Justice Initiative (OSJI), the president of the Assembly of States Parties (ASP) and the governments of Estonia, Botswana and Sweden. Panelists included ASP President Tiina Intelmann, UN High Commissioner for Human Rights Navi Pillay and Claudia Paz y Paz, former attorney general of Guatemala. OSJI Executive Director James Goldston served as moderator. Panelists agreed that while international justice mechanisms have in many ways driven advances against impunity for mass atrocity crimes, states have the primary duty to provide justice. High Commissioner Pillay pointed out that ensuring accountability for atrocity crimes is ahuman rights priority and that the search for justice not only helps to restore victims their rights, but also restores the rule of law, decreases the risk of further violence and fosters reconciliation throughout society. She also noted that states should not take any measures that prevent or limit accountability, such as granting amnesties or immunities for gross violations of human rights. ASP President Intelmann described national judicial mechanisms as the bedrock of the Rome Statute system, which is characterized by complementarity—the ICC functions as a court of last resort, taking action only when national authorities are unable or unwilling. To that end, she noted that the ASP encourages states to adopt domestic legislation and develop national infrastructures to make the national prosecution of war crimes, crimes against humanity and genocide possible. She also highlighted the role that civil society organizations like OSJI, Parliamentarians for Global Action and the International Center for Transitional Justice play in assisting states to build capacities. Several panelists took care to state that national justice is only possible when governments have the political will to hold powerful offenders accountable. Without it, the capacity to investigate and prosecute is of limited value. Claudia Paz y Paz brought to the conversation her practical experience prosecuting alleged acts of genocide in Guatemala’s national judicial system. The determination of victims and civil society organizations to see that the alleged perpetrators were brought to justice. Paz y Paz also praised the role of the international community and the UN, which helped support the Guatemalan government and assisted national authorities in building the capacity to conduct independent investigations and prosecutions. How can the ICC encourage accountability nationally? As noted by Pillay, international human rights mechanisms and treaty bodies can help ensure that national legislation and judicial procedures are in line with international human rights standards. The Rome Statute, for example, is a landmark for the human rights system and embodies the hope for genuinely universal and systematic accountability for the world’s worst crimes, Pillay said. The ICC incentivizes accountability at the domestic level. 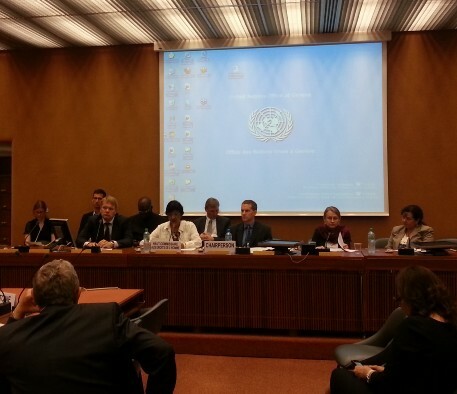 Pillay thus encouraged states that have not yet done so to ratify the Rome Statute. Intelmann expounded on this, noting that, by aligning domestic legislation with the Rome Statute, states can empower themselves to prosecute international crimes and enshrine the notion of ‘no immunity’ into national law. She further described how the ICC prods governments to investigate alleged crimes through the conducting of preliminary examinations by the Office of the Prosecutor. By opening a preliminary examination, the ICC sends a concrete and practical signal that it is aware of what is going on, but that the primary responsibility to act lies with the state government. The government then has the opportunity to undertake its own investigations and prosecutions, knowing that if it fails to act, the Court could initiate a full investigation. But, as a representative from an ICC State party stated, an emphasis on national accountability does not mean that the international community can neglect the ICC. The principle of complementarity works because states know that if they fail to prosecute crimes, the Court will step in. Continued efforts to support the ICC can help to ensure that states have the incentive to investigate and prosecute grave crimes. National justice measures are optimal, but if they are to be effective, international support is key. Human rights treaty bodies and mechanisms like the Universal Periodic Reviewprovide the international community with opportunities to push governments to undertake measures that foster accountability and strengthen national judicial, as well as to honor their obligations under international law. The Rome Statute system, with its emphasis on national accountability, is crucial. While empowering states to undertake their own prosecutions, it also ensures that, should the political will be missing, the ICC can act to see that justice is done.